Tired of the same old fancy cakes? 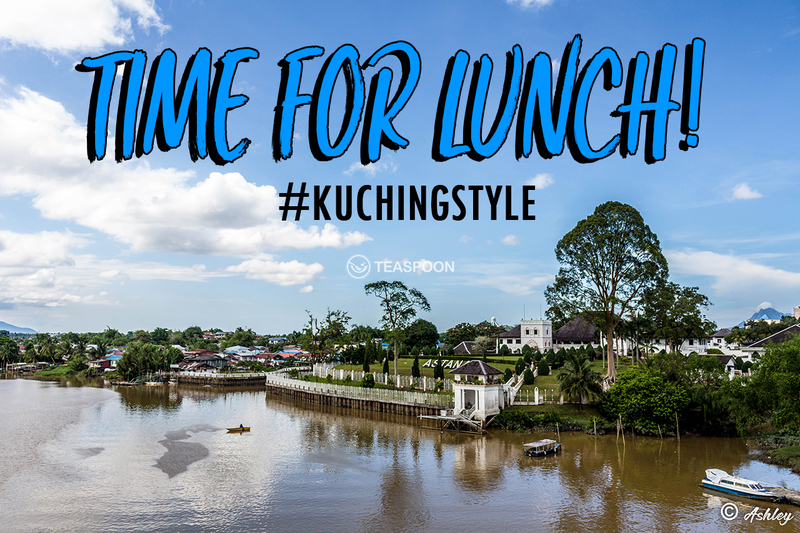 Why not go back to the traditional Malaysian kuihs (or bite sized snacks in English) and enjoy a sweet taste of the good old days. The thing about kuihs is that it’s getting harder to come by. Because the art of making kuihs is hard and takes a long time to master, finding a kuih vendor is not as easy as it used to be. 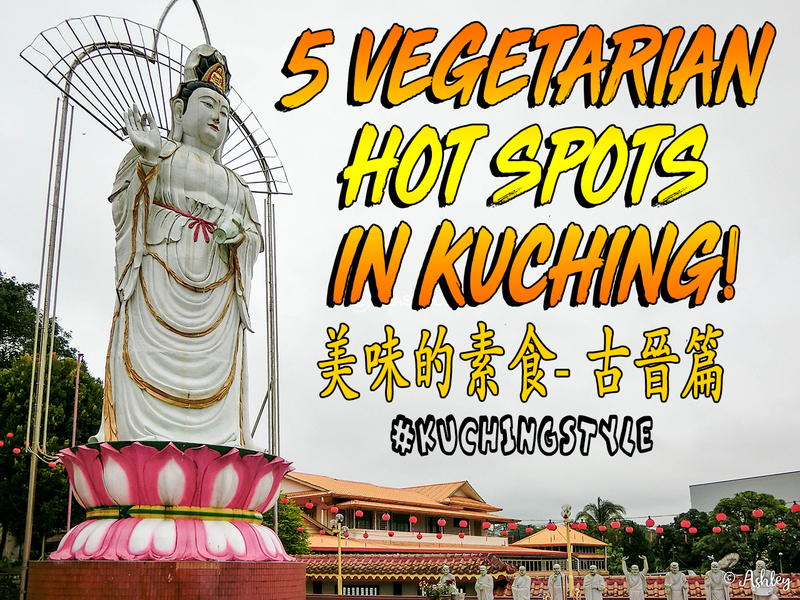 But we managed to track down a few spots here in Kuching for you! Here are our favourites. So read on, and don’t forget to LIKE & SHARE this article with your family and friends. One bite of a freshly-made apam balik from this Uncle’s stall and we reckon you will want more of his homemade fluffy pancakes filled with aromatic peanuts. Located in Kenyalang, this stall is a go-to for those craving for Apam Balik. Thick, spongy and sandwiched with rich flavours, you might change your mind to skip other meals and binge these poofy pillows till the end! Uncle Wang is never skimp on the grounded peanuts and sugar. That is why each bite just seeps the luscious filling out. Best-devoured piping hot, it’s impossible to stop with one or two, so armload dozens to accompany you on the couch! Besides Apam Balik, he is also known for his fluffy with a slightly crusty layer Kuih Bahulu. Popiah is a bite-sized pleasure that is commonly found in kopitiams, markets, and hawker stalls. For a quick popiah fix, make your way to this Aunty’s stall located beside Garden Cafe & Restaurant in Golden Arch Commercial Centre. Here, the popiah is freshly prepared on the spot with motley of delicious goodies such as yam bean/jicama (or known as Mang Kuang), shredded carrots, crushed peanuts, sweet brown sauce and more added together in the wrap. The result is a savoury, delicious and aromatic popiah. And for those who like it spicy, just dip the cut up roll of popiah into the hot chili dip. What’s more, this friendly Aunty also sells Tau Fu Fah, Lek Tau Suan, Siew Pau, Roti Kahwin and an array of mouthwatering kuihs. Hankering for some toothsome puffs and pastries to kick start your day? 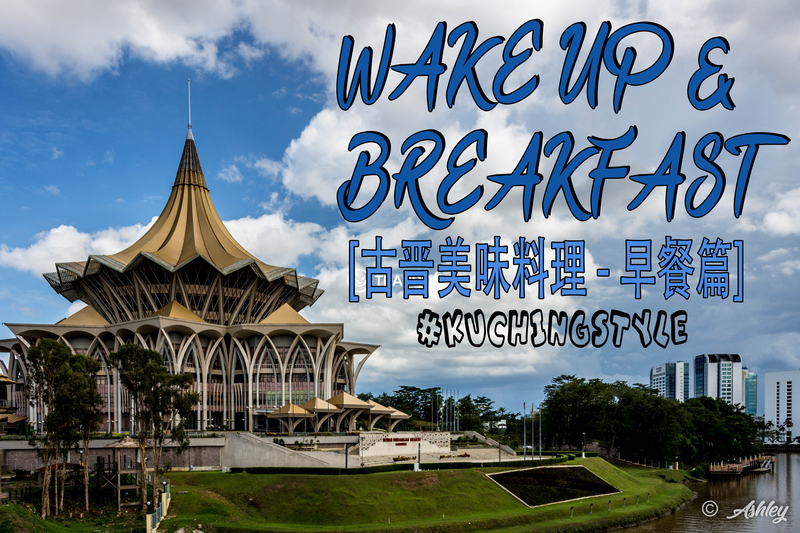 Then get up early and make your way to this bustling kopitiam, OK3 Kopitiam which is located at Jalan Song. This place is full of life and there is nothing from the puffs and pastries stall that you can’t spot. Plus, no visit here is deemed complete without wrapping your lips around their puffs and pastries which are prepared with premium ingredients and presented neatly. All puffs and pastries here are made fresh, no wonder they are sold out in a jiffy daily. And if you plan to have these delicious local puffs and pastries here at the kopitiam, then you definitely have to complete your indulgence with a glass of hot Kopi-O. What greater pleasure than kicking off your day with a plate of sweet and delicious charcoal grilled/crunchy grilled toasts, a staple dish that seems to have no boundary turning into a subtle breakfast or delectable dessert. During breakfast hours, Triple 3 Food Court which is located at Jalan Canna is always a brisk business thanks to their range of stalls. It’s usual to spot toasts gracing up tables of patrons along aromatic Kopi O. The toasts here are freshly made over the stove, and served warm and fluffy. Plus, they are mediumly toasted with a fat dollop of sweet kaya/peanut, instead of reduced to a thin crisp. Aside from toasts, they too have an array of savoury kuihs to choose from. This bustling kopitiam is an epicurean’s dream come true. Be spoilt with choices that come with a reasonable price. 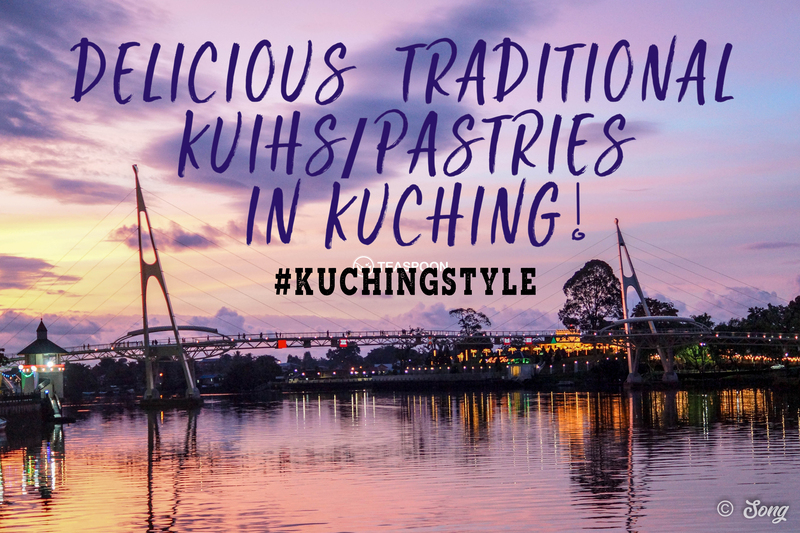 Either to perk up your appetite or wrap up your meal, be sure of grabbing a couple of traditional Malaysian kuihs from this Traditional Kuih Muih stall. Located in Siang-Siang Corner at Tabuan Jaya, this stall offers all kinds of delicious kuih-muihs. 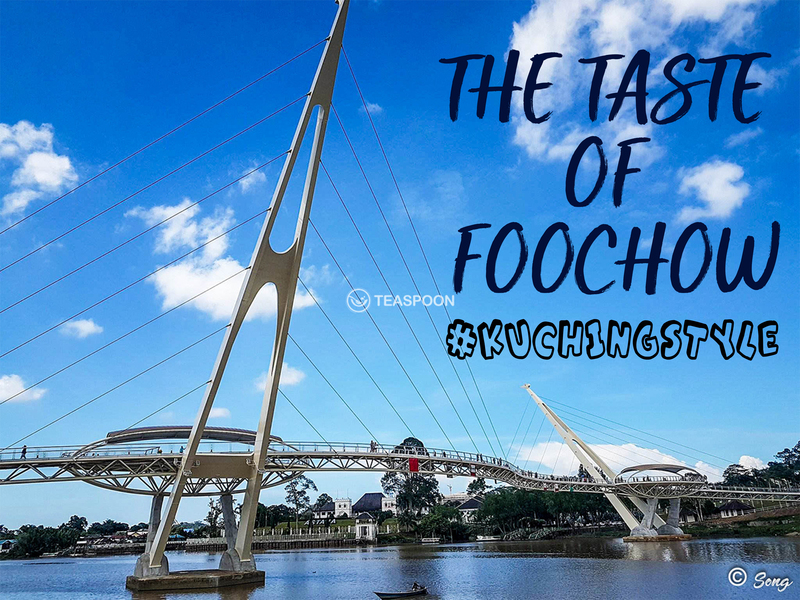 From Ang Ku Kueh to Onde-Onde, they are indeed well equipped to fulfil your cravings. The stall is easily identified with stacks of trays filled to the brim with a colourful spread of kuihs. Triumphing on texture and taste, the never-ending crowd is truly justified. Get in early as this dainty delights run out like hot cakes.